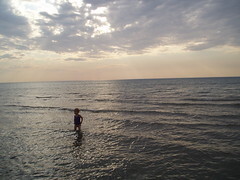 I've returned from a three day escape to Pinery, a Provincial Park on Lake Huron near Grand Bend, Ontario. 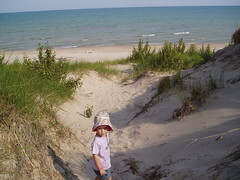 I've camped at Pinery before, but not in 16 years. It was even better than I remembered it. The sandy beaches at Pinery beat the crap out of anything you'll find at Wasaga and there's no tacky strip to compete with the landscape. The swimming was outstanding, the trails were fun and the nightly campfires were the icing on the cake. Here's a photoset of pics I took throughout the extended weekend. Love the pics, you guys look awesome!